West Ham and England’s greatest ever player and greatest ever man. 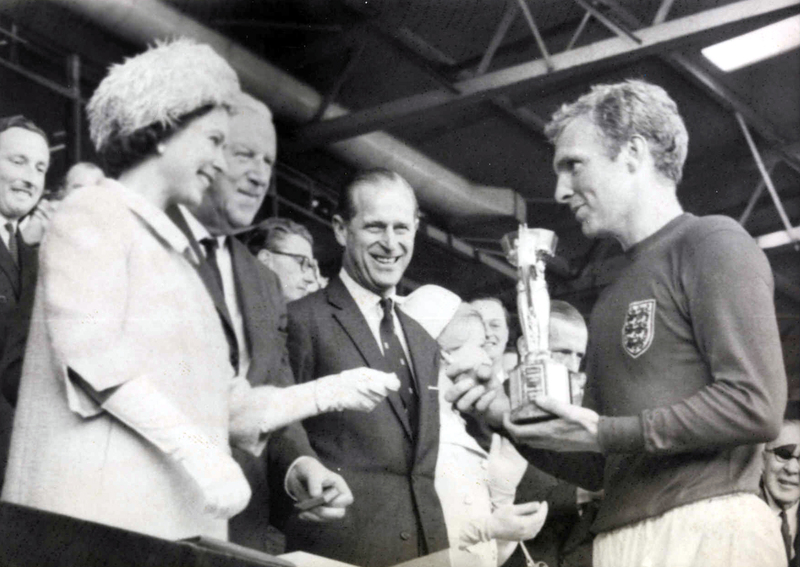 A perfect gentleman of the game; Bobby Moore is the definition of an aura. His spirit and impact last through the memories and stories passed down from generation to generation. It seems implausible that a boy from Barking could go on to become the best defender of all time. A player well beyond his years, with capabilities rarely seen since. The perfect tackle against Pele is beauty personified. The Englishman who couldn’t possibly be English, the way he played. The smoothness, tranquillity and self-assuredness of that single moment lives on. He is a man who millions have never met, yet it is as if he had touched each one of them personally. Being born four years after his sad death, my knowledge of him is akin to folklore. The stories from my grandfather and father still resonate with me to this day. I was at Upton Park when the club retired the number six, with Matthew Upson being the last to don it. It was a significant moment in making up for lost time, as both club and country failed Bobby massively. He was a man who deserves to be revered as a deity and a posthumous knighthood would merely be a scratch on the surface. Finding myself agreeing with Piers Morgan is something I didn’t think was going to happen in my lifetime – but when he called for Bobby Moore to be given a posthumous knighthood, it was an occasion where he finally talked some sense. There are a multitude of reasons as to why Bobby Moore should be knighted. England’s only ever World Cup winning captain with 108 caps is an unrivalled achievement. West Ham’s 1964 FA Cup winning captain. An inspiration to millions across the world. A cancer survivor whilst at the peak of his powers. It is a exhaustive list and it is absurd that this is even a matter of debate. Sir Bobby Charlton was knighted in 1994, a year after Moore’s passing. Surely in recognising a fantastic man in Charlton, it would be obvious to have done the same for Moore? But perhaps the lack of accolades shouldn’t come as a surprise. The FA and West Ham never treated Moore with the respect he deserved, instead leaving him to undertake an unsuccessful managerial career at Oxford City and then Southend United. Instead of shining a light on Moore and making him a crown jewel in English football’s regalia, both parties ignored him, like a common man, when in reality he was anything but. It has been said that the Moore wasn’t cut from the right cloth to be an ambassador for the FA. That of course is absurd. His treatment at the hands of the club was also shocking. On one occasion, Moore was asked to leave a game due to not having a valid ticket – West Ham’s prodigal son, asked to leave his church! These mistakes have resulted in a level of catching-up that I can only imagine happens when a tortoise tries to race Usain Bolt. A statue of Moore now stands proudly outside Wembley, looking over the throngs of people who enter the stadium, hoping to taste victory once more like 1966. At Upton Park, the south stand was renamed after him and that has carried over to the London Stadium. The club also adopted the slogan ‘Moore than a club’ – a direct reference to Barcelona’s ‘més que un club’. Whilst for Barcelona this relates back to the Spanish Civil War and Franco’s reign of terror, for West Ham it was viewed as a commercialisation of Moore. Harry Redknapp despised the way Moore was being used by the club in manners such as this and it is hard to swallow, that after more than twenty years since his death, West Ham only then decided to use his name to promote the club. One could debate for days about the shortcomings of those who failed Moore, but in reality it is important to try and look past that and connect with the memories of the man. Memories are what keep the dynasty of Moore alive in our hearts and minds. My grandfather’s memories of Moore come through their mutual connection with Sir Geoff Hurst. Hurst’s predictions of Bobby being a future West Ham and England captain told to my grandfather in the late 50s, ultimately came to fruition. The other standout memories from my grandfather are from the World Cup final. In the dying minutes, with players screaming at him to send the ball out of play, Bobby picked out Hurst with a pinpoint pass, assisting the hat-trick which would go down in history. This cultured piece of play would be raved about in today’s modern game, further showing Moore’s futuristic abilities. The second, upon realising his hand was dirty from the game, he wiped it before shaking the Queen’s hand, even in a moment prior to ecstasy, he was considered and gentleman-like in the finest details. Bureaucracy in Britain states that knighthoods may not be given out posthumously; they are reserved solely for the living. Yet, Bobby Moore does live. He lives on in our grandparents, parents, uncles, aunties, terraces and culture. He is England’s quintessential sporting hero, a man from humble beginnings that remained humble – and given that, who is to say that Moore would want to be a ‘Sir’, a man so long rejected by the establishment and so reserved himself may not have desired the pomp and ceremony. He would want to be surrounded by football and breathe it as we do now. The tifos, the stands, the shirts, the statues, the retired number six, these all allow us to remember him. A loophole in the Honours System should not define his legacy. A posthumous knighthood would merely add three letters to the great man’s name. Instead, Robert Frederick Chelsea Moore should be celebrated by the nation – as a nation – in our own individual and collective memories and moments.